You’re job is not easy. Your job is all about making your clients deliriously happy each and every day by providing absolute return on their investments. It’s about delivering value with product innovation, operational efficiency & accuracy and business function automation. And you must do this in an environment that’s highly competitive, risk heavy and regulatory complex. So, again, we say your job is not easy. 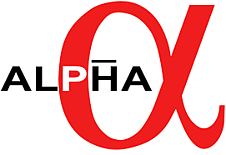 Yet, with all these challenges, as an asset manager, how can you gain a competitive advantage and deliver serious ALPHA - i.e, generate amazing returns with minimal risk - to your clients? Be Proactive. Of course, you say! That goes without saying. You read the Wall Street Journal and the Times. You scan Bloomberg and follow the pundit of the day for news bites related to your portfolio. You might even do a few searches. But we’re talking about more than news bites and far more than Googling a holding. We are talking about a proactive approach in getting the right material intelligence to make better and more impactful decisions for your client’s holdings. Be First. Yes, being the first to know is one of the best competitive advantages in your arsenal. Consider that your competitors are likely heavily reliant on rating agencies, local & industry newspapers and some manual Google searching. Unfortunately, relying on that strategy just means you get the same news at the same time as everyone else. This is where you can gain a clear and competitive advantage – be the first to get in-depth local intelligence or social media intelligence. There’s little advantage having the same information at the same time as everyone else. So, the sooner you can identify relevant information the sooner you can act on opportunities that you might have otherwise missed. Remember, by the time the information bubbles up to the national level, it’s too late.